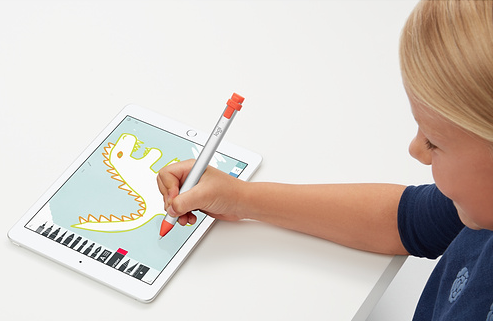 Logitech’s Crayon for iPad debuted for the sixth-generation iPad last year, targeting younger students so they can use it as a digital pencil. The product listing for Logitech Crayon has been updated to also note it will support Apple’s new 10.5-inch iPad Air and refreshed iPad mini, quietly announced this morning via press release. “Using advanced technology, Logitech Crayon provides a writing experience that’s as natural as pen and paper,” notes the company’s product listing. Click here to buy the Logitech Crayon from Apple.ca for $89.95.